Used in many structures, temples and tombs around the world, the square pyramid has contributed to countless human constructions. 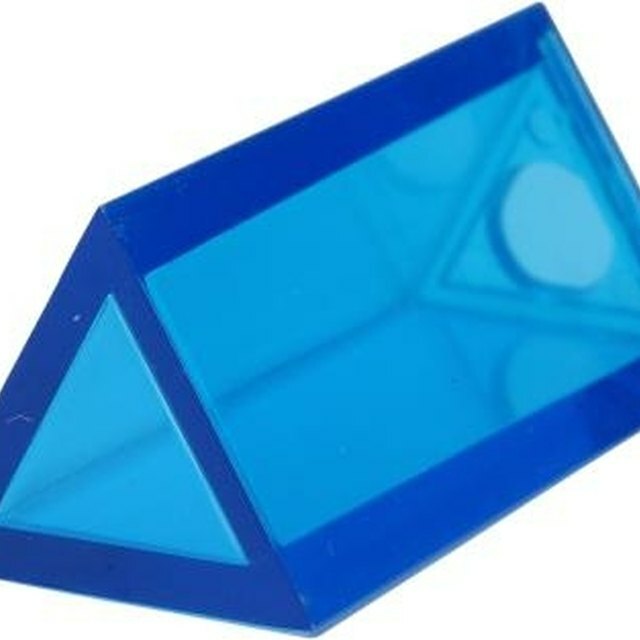 Pyramids are polyhedrons (solid, three dimensional objects composed of flat faces and straight edges), and are formed when a base and its point, known as an apex, are connected by triangles. Geometry, a branch of mathematics that deals with shapes, sizes and space offers solutions to better understanding a pyramid's dimensions. Calculating the angles of a pyramid refers to the angle between two adjacent triangular faces on a pyramid. Determine the length of the third side of the triangle that is hinged to the adjacent triangle. Due to the pyramid's square base, which composes the base of each triangle face, the length of the diagonal side is the square root of the length of the base of each triangle. Compute the area of one of the faces of the triangle. 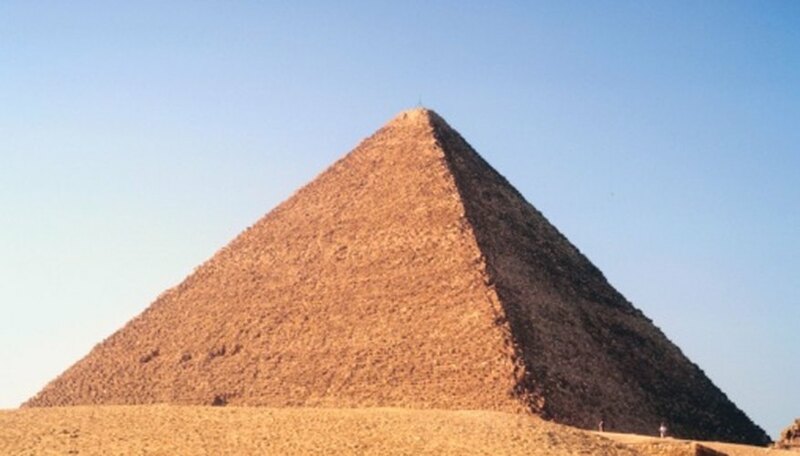 All of the triangular faces in a pyramid should be of the same proportions. The area can be determined by using a simple formula: 1/2 of the (b) base times the (h) height. Note that a perpendicular line down the center of one of the triangular faces creates two right triangles. Use the Pythagorean theorem later to determine the remaining angles of the triangle. Use the formula 1= 2bh/squareroot(b^2+4h^2), with 1 being the value of the height of the line on the triangular face. Use the formula squareroot(2)b to determine the length of the base of the triangular face. Because you must determine the length of a base line for one of the right triangles, divide this number in half. You now have two of the sides necessary (the hypotenuse and base) to complete the aforementioned Pythagorean theorem. Substitute the values of the (h) height and (b) base into the formula: arcsin(squareroot(2) b/(2l)) = arcsin(sqrt(8h^2 + 2b^2)/4h). This will give you the angle of the pyramid from the apex to the base edge. Based in Gainesville, Florida, Johanna T. Baker is a professional writer whose articles have been published in "Dimensions," a local literary magazine in the Tampa Bay area. T., Johanna. "How to Calculate Pyramid Angles." Sciencing, https://sciencing.com/calculate-pyramid-angles-8095325.html. 24 April 2017.